Twitter Bootstrap Design Website on Free Dropbox Cloud Guide is the perfect example of creating a good looking site on Dropbox. Other example can be Cloud Files Hosted Music Player of Your Own. It was actually for Rackspace Cloud Files, but Dropbox can be used in the same way. We have other Tutorials on Cloud Files, which should essentially work as well. We need to upload the custom Bootsrap designed HTML website or that Cloud Music Player like small app content files and folders. This is what this app will do. It is for peoples who still uses Windows. Mac and Ubuntu / Linux already have such Apps since Dropbox has been popular. This Article Has Been Shared 4917 Times! 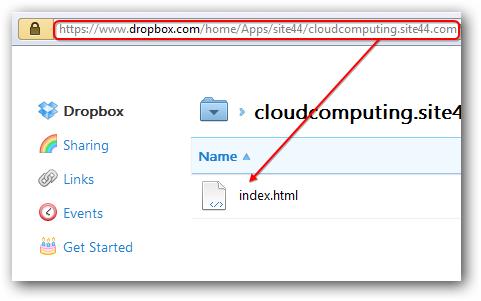 Cite this article as: Abhishek Ghosh, "Tools for Using Dropbox Cloud for Web Hosting Easily," in The Customize Windows, October 17, 2012, April 21, 2019, https://thecustomizewindows.com/2012/10/tools-for-using-dropbox-cloud-for-web-hosting-easily/.